A series of Cardiff primary school visits from some of the biggest names in business, arts and culture have been arranged for this year’s Open Your Eyes Week. Open Your Eyes Week is designed to raise the children’s career aspirations as they prepare to move from primary to secondary school. 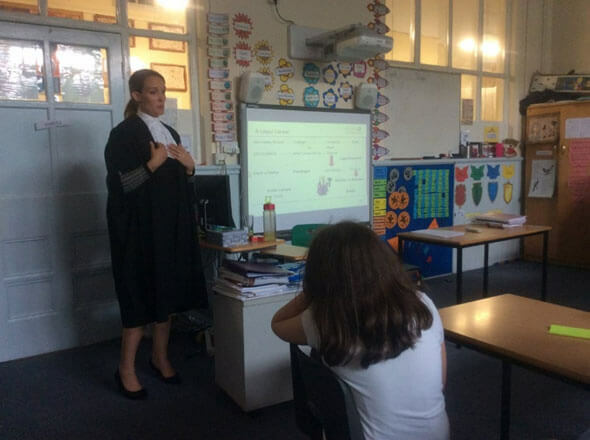 Starting today, 27 businesses and organisations from Cardiff and the wider city region are visiting nine primary schools to speak to Year 6 children about the career opportunities available to them. Originally the brainchild of staff at Severn Primary School in Riverside, Open Your Eyes Week was first held in 2015, starting with the help and support of nearby businesses and people connected to the school. Using links created through the Cardiff Commitment this year, this year’s Open Your Eyes will see more businesses and organisations involved, visiting more schools and speaking to more children.